Cancer patients sometimes experience changes in appetite caused by the illness itself or by side effects of treatments like chemotherapy and radiation. Fatigue, changing taste buds, depression, inactivity, and nausea can lead to weight loss and poor nutrition, making existing symptoms worse. 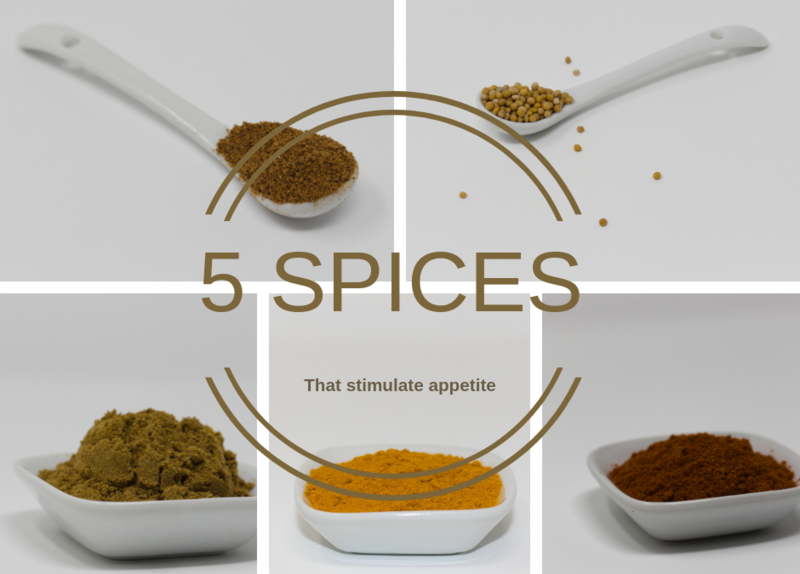 These 5 spices that stimulate appetite have antioxidant effects that fight cancer, make your food taste better, and provide nutrients you need for recovery. Mustard seeds come in several varieties and are known for their antibacterial and inflammatory benefits as well as for their nutritional value. To increase your appetite, drink a glass of milk that contains a few black mustard seeds 15 to 20 minutes before you eat. Cumin improves the appetite by relieving gas and improving digestion. Take cumin with hot water to get rid of stomachaches. Cayenne pepper or chili flakes keep you from feeling hungry or craving salty foods. At the same time, it makes you want to eat sweet or fatty foods. Nutmeg makes it easier for you to digest your food by lessening symptoms like diarrhea and bloating. It also improves the appetite by reducing anxiety and inflammation. Turmeric relieves heartburn, bloating, and gas, making it easier for you to digest your food. It also helps to keep the liver healthy, improves immunity, reduces symptoms of arthritis, and purifies the blood. While some spices can suppress appetite, many also make it easier for cancer patients to eat by relieving indigestion, reducing aches and pains, and improving immunity. Research from leading cancer clinics, such as the Memorial Sloan Kettering Cancer Center, shows that spices and herbs help to prevent and fight cancer. The more well-balanced your diet is and the better you feel, the easier it is for you to fight off or recover from illnesses. Good nutrition from spices and whole foods means less of the anxiety, depression, and fatigue that accompanies cancer and its therapies.